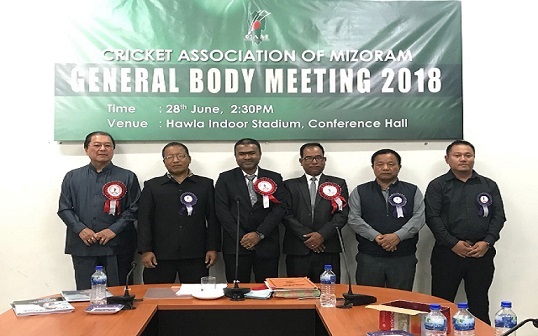 Mizoram Chief Minister Lal Thanhawla was re elected the president of Cricket Association of Mizoram (CAM) on Thursday night at the general assembly of the association in Aizawl. Cricket Association of Mizoram has elected Lal Thanhawla as its president in the last term hoping that the he could help it in getting BCCI membership. Though, a young entrant in the cricket scene of the country, cricket in Mizoram has gained momentum during the past 10 years. The association has already built a cricket stadium at Sihhmui near Aizawl under the aegis of the Northeastern Council. It is reported that Lal Thanhawla had called upon late Jagmohan Dalmiya and CAM was nominated for permanent membership by Justice Lodha Committee Recommendations on July 18, 2016. But the change in the helm of the Indian cricket administration has delayed the much desired BCCI membership of CAM. “The recommendations of the Justice Lodha is not accepted by BCCI fully yet, the committee of administrators appointed by the Supreme Court for implementation of the recommendation are doing their work and we are hoping to get the affiliation sooner or later,” Mamon Majumdar, general secretary of the CAM said. “Though cricket came late in Mizoram, yet we are moving very fast. We hope that in the near future the BCCI will accept our membership. Till then we will strive hard to get our affiliation,” Lal Thanhawla said.